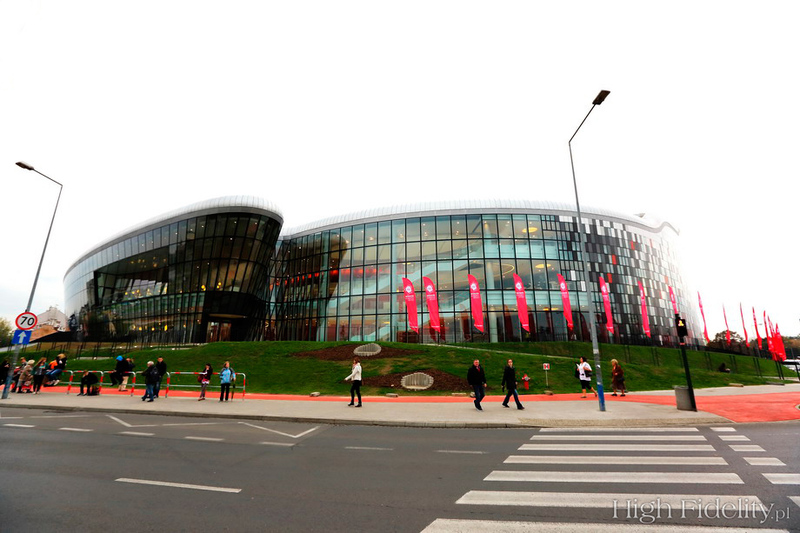 usic lovers all over Poland lick their lips with jealousy at the concert hall in Katowice. By this, I mean the new headquarters of the Polish Radio’s National Symphonic Orchestra. 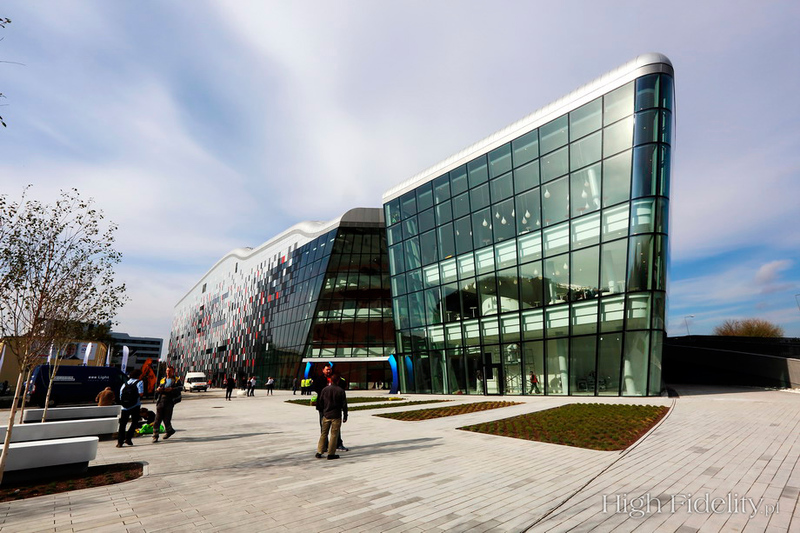 Mr. Tomasz Konior, the architect who designed it, refers to the idea of “context architecture.” He also emphasizes that a building can only be considered successfully built when visitors have no stupid questions to ask about its design and function. If an architect creates a space which has its own natural rhythm, dictated by the building’s intended use, everything went well. You can’t miss it looking at the design of the building’s elevation. It is based on traditional Silesian themes and associations with music. Even its pillars have a clear rhythm. Tomasz Konior said that he wanted the building itself to be a story of its own, a spatial narrative growing out of the roots of Silesia’s rich culture. That means the brick-built, red-colored landscape of the Nikiszowiec district of Katowice, which is associated with the traditional look of Silesia within Poland. But what’s most important to the musical world is what hides inside this building. It contains two concert halls: a large one with the capacity of 1800 people, as well as a chamber hall that can seat 300 music lovers. Both halls have a very warm atmosphere thanks to the materials used to build it: birch wood combined with exotic wood as well as a wavy concrete base. 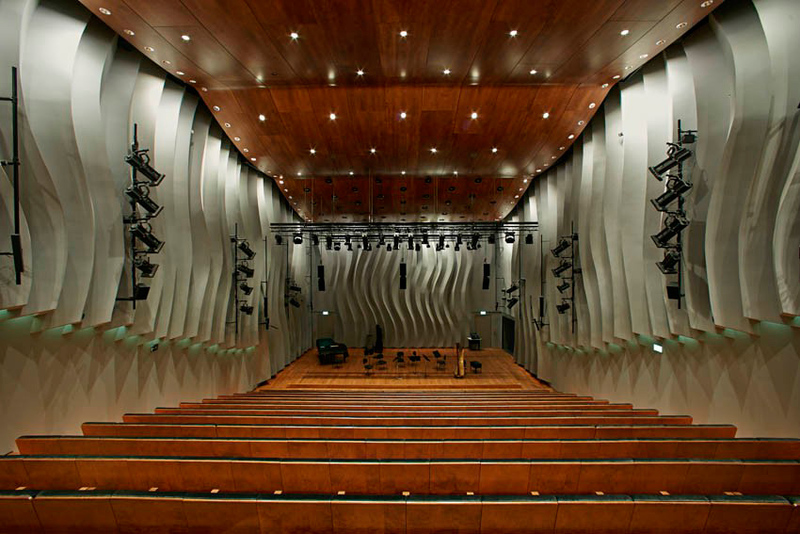 A specially shaped plafond hangs under the ceiling of the large concert hall to improve the sound propagation. 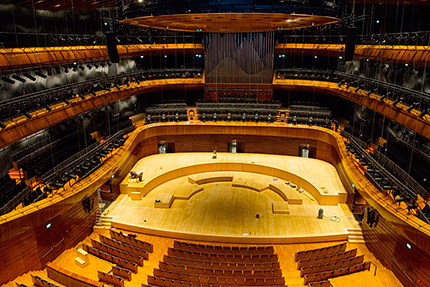 The process of building this concert hall was complicated because of acoustics. Nagata Acoustics, a Japanese company, helped with preparing the halls. The process was supervised by Yasushisa Toyota, a master of his craft. The Japanese company previously worked on building places like the Suntory Hall in Tokyo, the Walt Disney Hall in Los Angeles or Amsterdam’s Concertgebouw. Yasushisa Toyota cooperated with other architectural celebrities like Frank Gehry and Jacques Jean Nouvel. One of the key moments when Nagata was designing the hall’s acoustics was building a 1:10 scale model of the room. 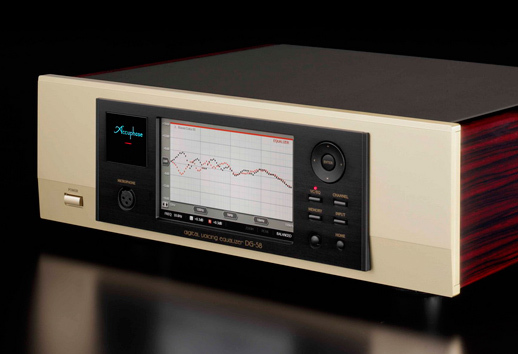 The PRNSO’s miniature was used by Nagata’s engineers to run acoustic tests. “The miniature room, replicated in even the smallest details and filled with nitrogen, became somewhat of a sound laboratory” – said Ms. Ewa Niewiadomska. 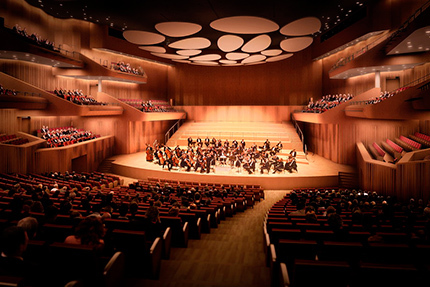 The idea for engaging the Japanese in the process of creating the concert hall was brought forth by the famous Polish pianist, Mr. Krystian Zimerman, who took part in planning the new PRNSO headquarters from the very start. He even visited the building site, paying attention to all the details that he believes to be crucial to the musicians and music lovers. He wanted extra attention to be paid to the atmosphere of the chamber hall, which is meant to house concerts of smaller ensembles and solo artists. During the official opening concert which took part on October 1st, 2014, the orchestra performed Witold Lutosławski’s Tryptyk Śląski, Krzysztof Penderecki’s Przebudzenie Jakuba, Wojciech Kilar’s Siwą mgła, Johannes Brahms’ 1st Piano Concerto , and Ludwig van Beethoven’s IX Symphony. The orchestra was accompanied by the Bavarian Radio Choir, while the solo parts were performed by Krystian Zimerman, Wiesław Ochman, Luba Orgonášová, Anna Lubańska, Christian Elsner and Dimitry Ivashchenko. The whole thing was directed by Alexander Liebreich, PRNSO’s artistic director. That’s all that we heard about the opening of the PRNSO’s new headquarters from Ms. Ewa Niewiadomska, who is responsible for the promotional materials of the Polish Radio National Symphonic Orchestra. If I can add my own two words, I’d like to point out that the opening ceremony was a huge event, commented in TV, radio, and daily press. I don’t remember this much attention being paid to any other culture-related opening ceremony in the last few years. Let me put it this way: we, Kraków folk, are very jealous of the PRNSO. Here we are, getting ready to attend future concerts in Katowice, but we all wish we had something like this back home, too. Although… I kept a newspaper clipping from a “Gazeta Wyborcza” edition from April 2nd, 2009, where Dawid Hajok wrote an article titled Testing in Cambridge. As I read there, the model of the Congress Center’s main concert hall was taken to be acoustically tested in Great Britain. The Centre, which was to be erected on an empty lot near the Grunwaldzki Roundabout in Kraków, was expected to become the “architectural icon” of Kraków. Its architectural design was meant to be done by Krzysztof Ingarden and Jacek Evý. I can still remember going on walks in the place where the ICE’s impressive building stands today. The walks usually lead me towards cheap hot dog stands, or, alternatively, the bus stop, hidden there amongst unkempt tall grass and bushes, from where the 101 bus (which goes to the Kościuszko Mound) had its first stop. The way that this place, as well as all its surrounding area, has changed since then is incredible. The ICE’s appearance is one-of-a-kind and, unlike the PRNSO’s headquarters, it caused quite a stir in Kraków. On October 16th, 2014, exactly 16 days after the ceremony in Katowice, during the official opening ceremony, while standing amongst the journalists from all the major Polish TV and radio stations, as well as magazines and newspapers, I heard both quiet growls that could only translate to: “this place looks like a bathroom”, as well as those that went like “outstanding.” The former referred to the building’s elevation that is made up of tri-colored, rectangular plates. But these are the people who cannot look past a detail. The second group is made up of people who can see the bigger picture. And I stand with them, united. Through this, Kraków has gained a place in which people can finally comfortably listen to music concerts of a high standard. Similarly to Katowice, though, the concert hall was definitely its most important aspect. 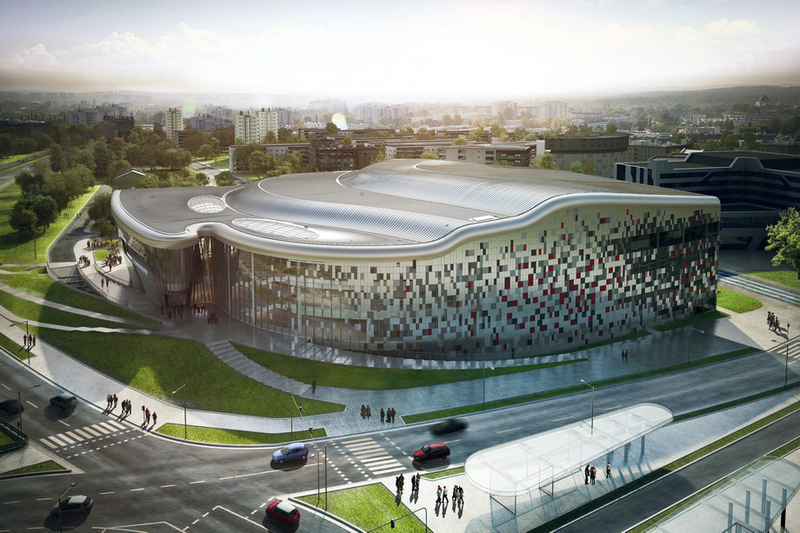 The concert hall in ICE can hold up to 1800 people in the audience and has a “vineyard” shape – similarly to Katowice, yet again – i.e. a shape resembling a grape vine. Its particular design is slightly different, though, as the PRNSO orchestra stands on a scene suspended in the very middle of the room, surrounded by seats on all sides. Meanwhile, the scene in the ICE is arranged at the front of the “vine”. ARUP Acoustics from Cambridge is responsible for the acoustics of the ICE concert hall – the same company that received a 1:50 scale model of the building for testing purposes. 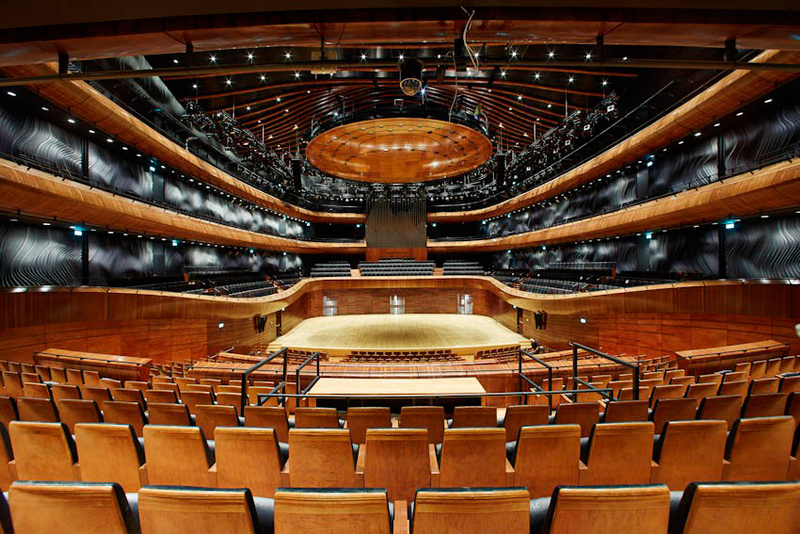 The company had been previously responsible for the acoustics of the Copenhagen Opera House, the Sydney theatre, and the Olympic Stadium in Beijing. As Mr. Ingarden said, after the first few tests it turned out that the room’s reverb was just right for classical music. It was compared to the Musikverein in Vienna, for example. Acoustic reflectors have been suspended above the scene so that the musicians can hear themselves better. 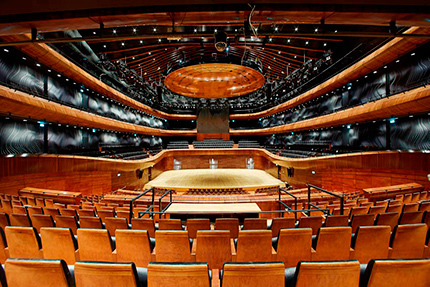 The main acoustics expert and head of the acoustic design of the ICE Kraków was Mr. Raf Orlowski. The design for this building was chosen in an international competition. The work on the building started in 2007 and the whole investment cost over 357.5 million zlotys. The Center is over 35,000 square meters in size, and the largest hall can seat up to 2,000 people. Zbigniew Preisner, composer for Krzysztof Kieślowski’s and Agnieszka Holland’s films, composed a piece for the opening of the ICE Congress Center in Kraków, titled 2014. Tu i teraz (“2014. Here and Now”). The Thursday concert at which the composition had its premiere was an invite-only event, but it was repeated the next day for the wider public. Lisa Gerrard, who featured on Preisner’s album Diaries of Hope released in 2013, was meant to take part in the performance. However, she had to cancel her appearance due to illness. The Krakow studio developed the concert hall design in consultation with the Japanese office of the world-class architect, Mr. Arata Isoaki. – This is the most complicated project I have ever worked on – discloses Krzysztof Ingarden, co-author of the concept. The presence of a Japanese architect and designer in the process of building another extremely successful concert venue is no accident. "High Fidelity" readers surely know that, but it does not hurt to repeat it: there are areas in audio where it is difficult to compete with the Japanese. These include phono cartridges, CD and SACD pressing, CD and SACD players, tube amplifiers, cables, anti-vibration accessories, but also inexpensive (mass produced) audio. Everybody I asked about that pointed to a particular predisposition of the inhabitants of the Japanese islands to persistent work and honing everything to the last detail. It is hard to disagree with that. 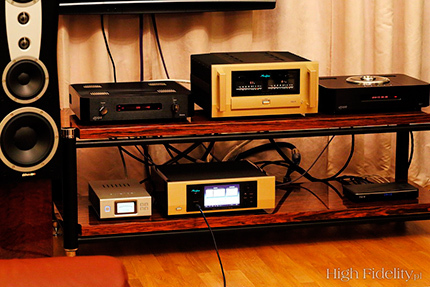 Just look at the components from the Japanese audio manufacturer, Accuphase. 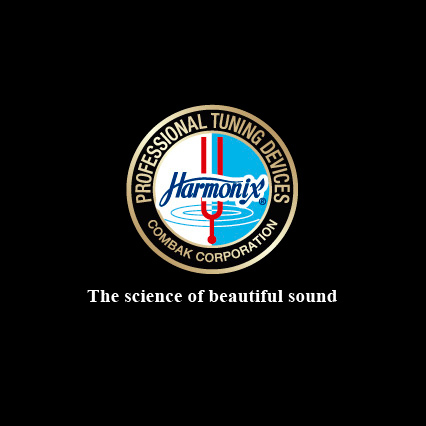 Made with extreme precision and sounding great, they are a kind of statement product; reference components for other audio manufacturers. 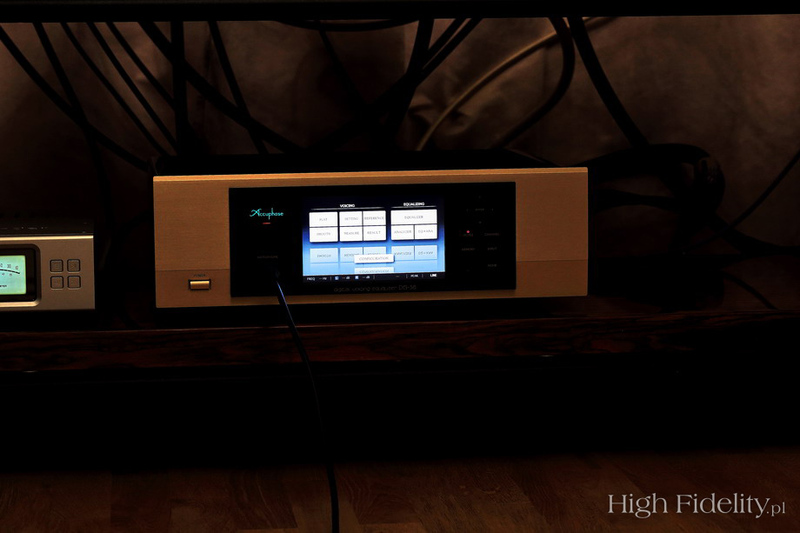 This can be seen both in their visual design and in the technical solutions that were started by Accuphase and which I saw later reused and employed (sometimes quite creatively) in many other products. On October 16th, when the ICE Krakow was opened, in the morning we were with my son at the official session for journalists led by Mrs. Izabela Helbin, director of the Krakow Festival Office, and Jacek Majchrowski, Mayor of the City of Krakow. In the evening, we were invited to the Preisner’s concert about which I wrote earlier. In the end, we did not get there, as explained below. An hour before the first bars of 2014. Here and now sounded at 19:00 in the Auditorium Hall of the ICE, I welcomed special guests from Japan, who are the most important people in Accuphase: Jim S. Saito (President & CEO), Mark M. Suzuki (Executive Vice President) Tatsuki Tozuka (Manager, International Marketing Div.) and Kohei Nishigawa (Supervisor, International Marketing Div.). Our meeting did not happen by accident. 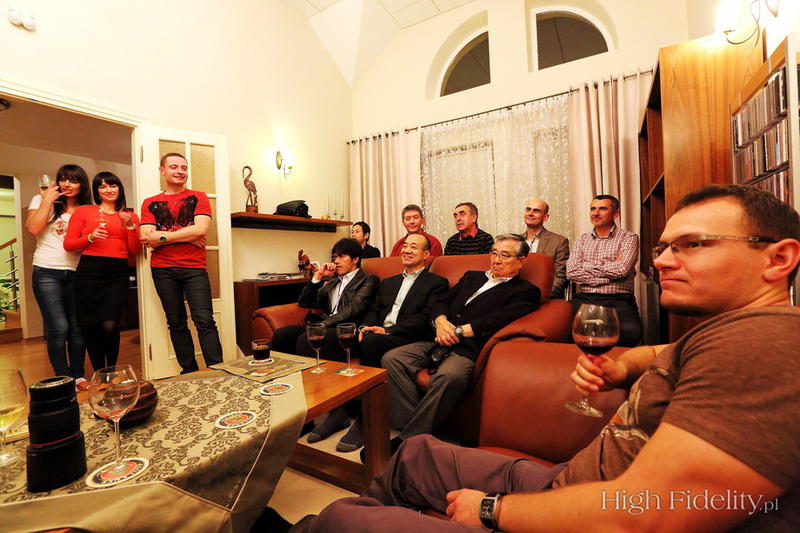 We had been planning a visit of Accuphase managers at a Krakow Sonic Society meeting for a long time, at least since the interview I had with Mr. Saito in January 2012 (see HERE) . The meeting topic was not accidental, either, especially in the context of the both venues I mentioned earlier: it was the DP-58, the latest model of room acoustics equalizer from Accuphase. 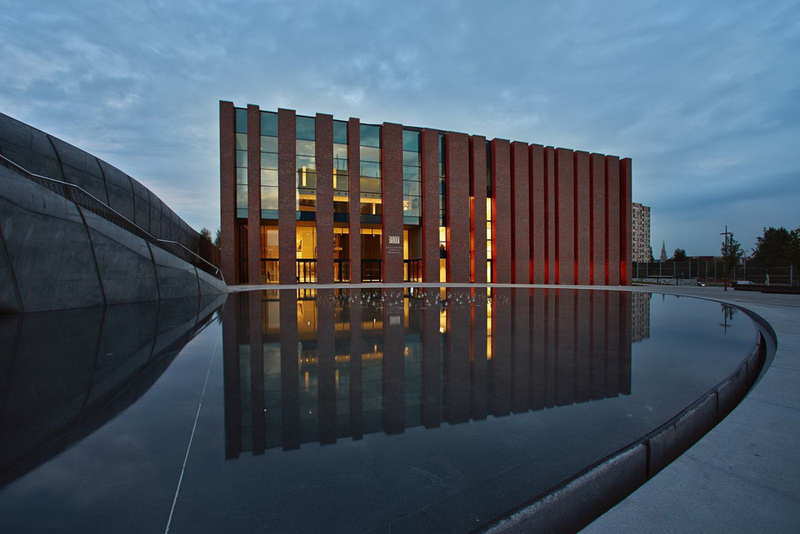 The contribution of the Japanese acousticians and architects to the success of the Polish Radio National Symphonic Orchestra and ICE Krakow is not to be underestimated. Apparently, they know quite a bit about room acoustics. Hence, we were very curious to find out what the DP-58 could improve in the sound of Tomek’s, our host’s, audio system.